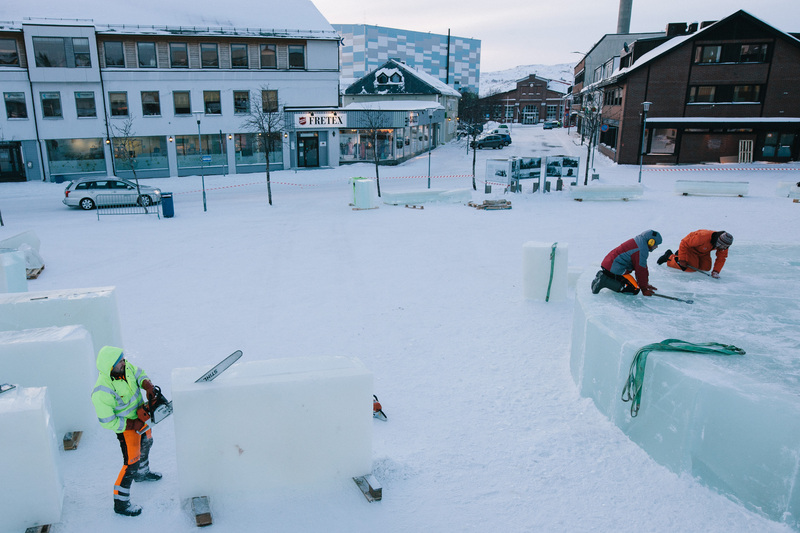 The buzz of chainsaws can be heard around Kirkenes’ town square as the ice stage for the Opening Show of the Barents Spektakel 2018 takes shape. 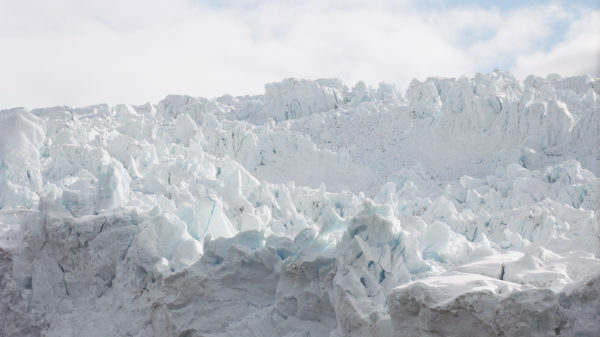 In just two short days the team lifted more than 100 tonnes of ice from the lake close to town and are now sculpting and lifting the giant blocks into place. 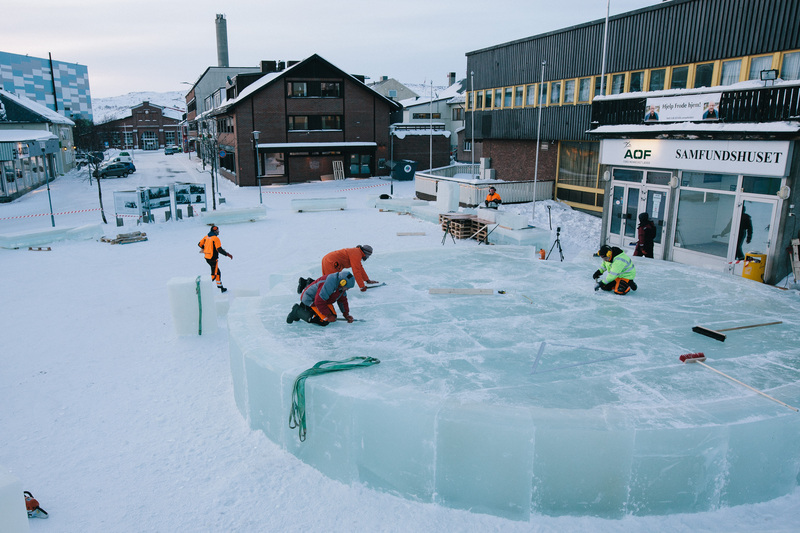 The ice stage, designed by Peder Istad and contructed with the help of his assistant ice engineers, will act as the centre peice for the show that with the simple equation: Rock + Football = Spektakel, and will mark the offical opening of the Barents Spektakel 2018. The main section of the stage is already in place with the finishing sculptures that will complete the alter to team spirit being carfeully crafted in the coming days. 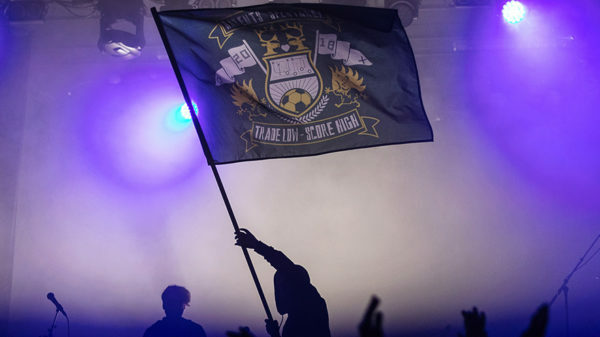 These elements include a ten tonne torch and 5 tonne hand rising from the stage. 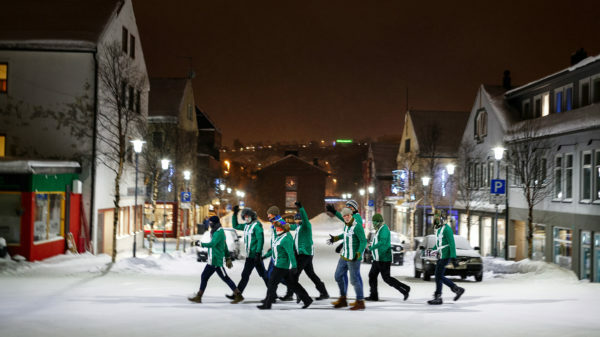 The Opening Show for the Barents Spektakel 2018 will fuse together the two remianing arenas for mass-worship, football and rock, into one spectacular show with the legendary “engineers of human souls” Laibach and girls’ football teams from Murmansk and Sør-Varanger choreographed by Sigurd Johan Heide. 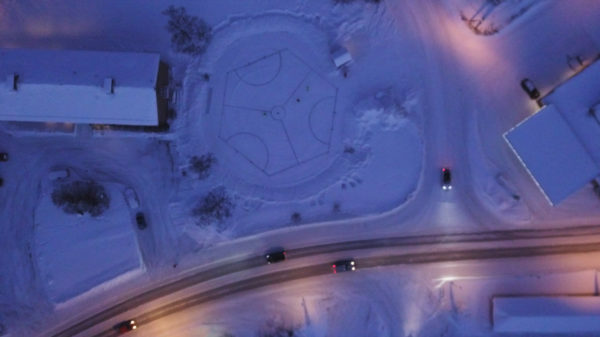 The Opening Show kicks off on the 21st February at 18:00. 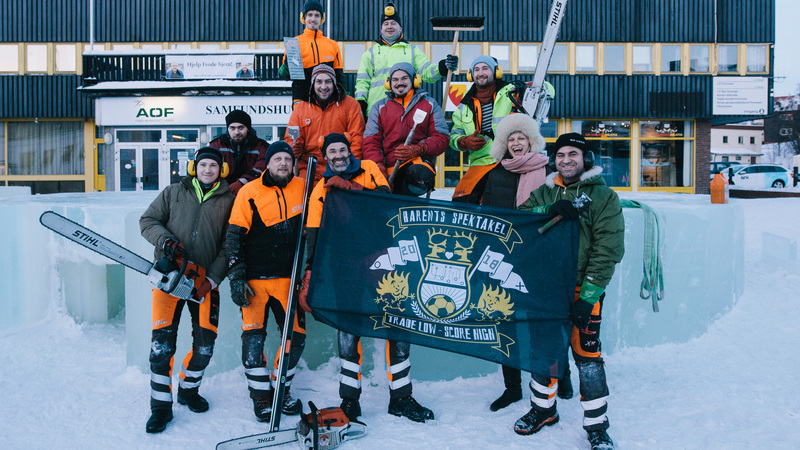 Assistant ice engineers: Marius Engan Johansen, Emil Olofsson, Aiman Esber, Taibola (Ilia Kuzubov, Aleksei Maklakov, Nikolai Terentev, Daniil Vlasov), Ivan Epikhov, Konstantin Korobov.